As Accessible Travel Specialists, Shauna Petrie and Dave Krook are continually researching and exploring the world in search of destinations which can be enjoyed by all. Together they founded Sea Wheels Inc., an organization dedicated to facilitating travel opportunities for persons with disabilities. As proud members of the Society of Accessible Travel & Hospitality (SATH), they are committed to promoting a barrier-free society and have the privilege of being part of a much larger network of individuals devoted to a similar cause. Shauna has been globetrotting the world in search of accessible travel opportunities since she was injured in a skydiving accident in 1981. She shares her passion and enthusiasm for travel with her husband Dave and their daughter Saxon and between them they have visited 45countries spread over 5 continents. They are particularly addicted to cruising, having spent more than 275 days at sea aboard a wide variety of ships and cruise lines. They recently enjoyed a Hawaiian Islands sailing aboard the Celebrity Solstice that visited the Hawaiian Islands including Honolulu, Kona & Maui and and then finished in Vancouver. Shauna & Dave's upcoming British Isles adventure includes Dublin, Belfast, Liverpool, Cork, London, Paris, Bruges and Amsterdam. If you'd like to join their Irish Rovers extravaganza, give them a call for more details. 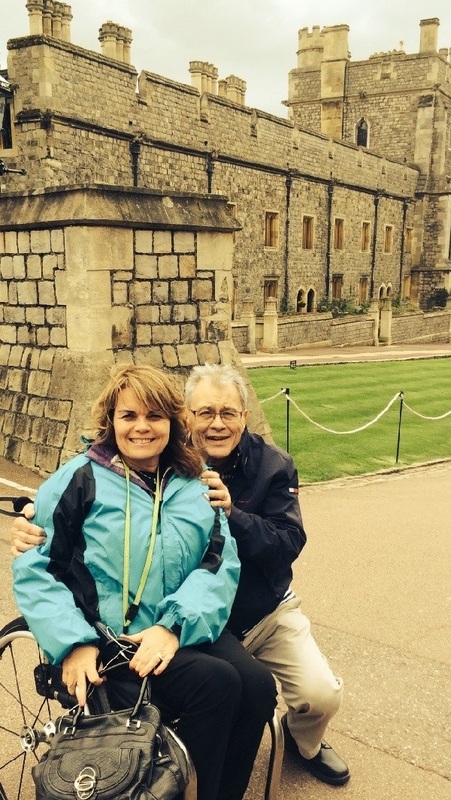 Shauna & Dave are also accomplished travel writers and their work has been featured in publications such as Active Living, Outspoken, Abilities, Total Access and 50+ Magazine. They are in high demand as speakers on the topic of accessible travel where they continue to profile the growing list of destinations which have opened their doors and minds to travellers with disabilities. From the Acropolis in Athens, to accessible helicopters in Alaska to African Safaris, Sea Wheels is happy to help get you on your way. Shauna & Dave recently joined forces with the Sarah Dayman team to enhance your customer service experience. Send your enquiry today to begin planning your perfect holiday vacation.